Marrying a phonograph. 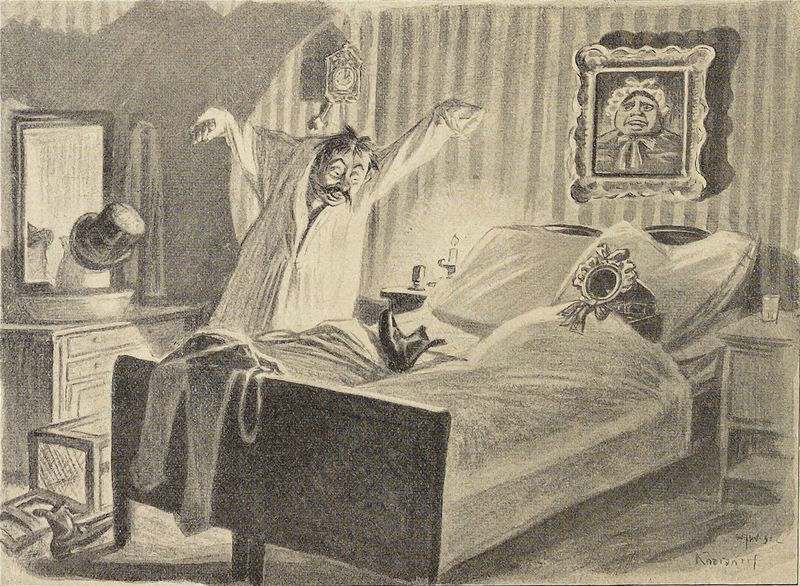 From Lustige Blätter, 1905. 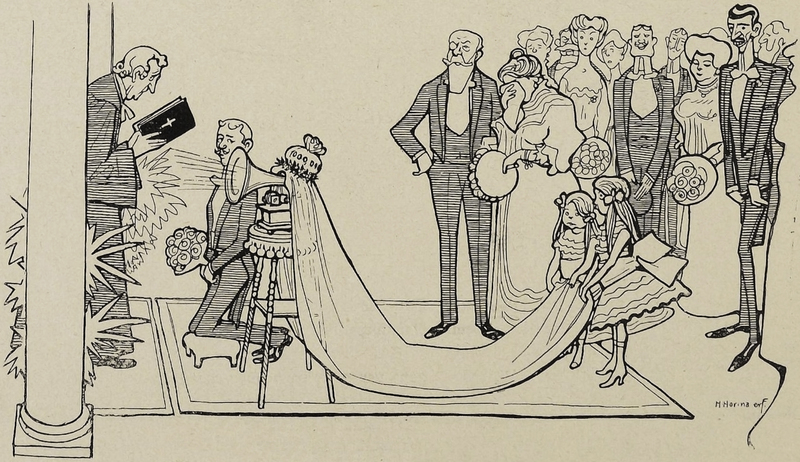 See The Collected Lost Meanings of Wedlock. 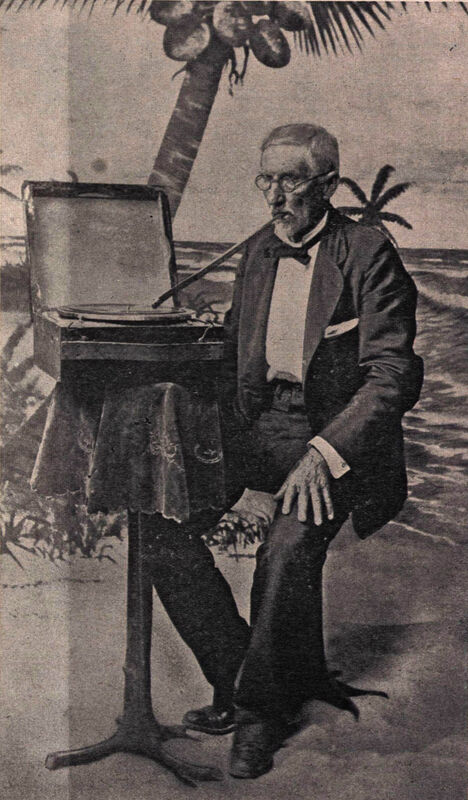 It's not so easy to make out, but that's a phonograph in bed with him. 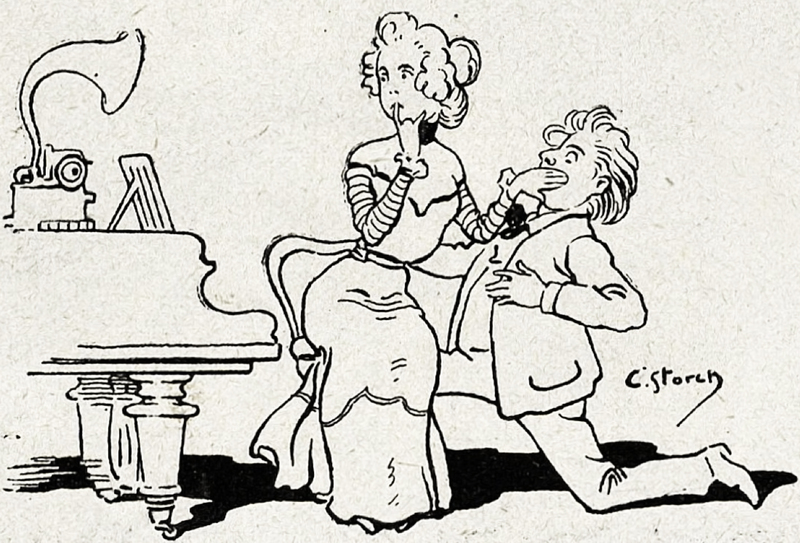 From Lustige Blätter, 1899. 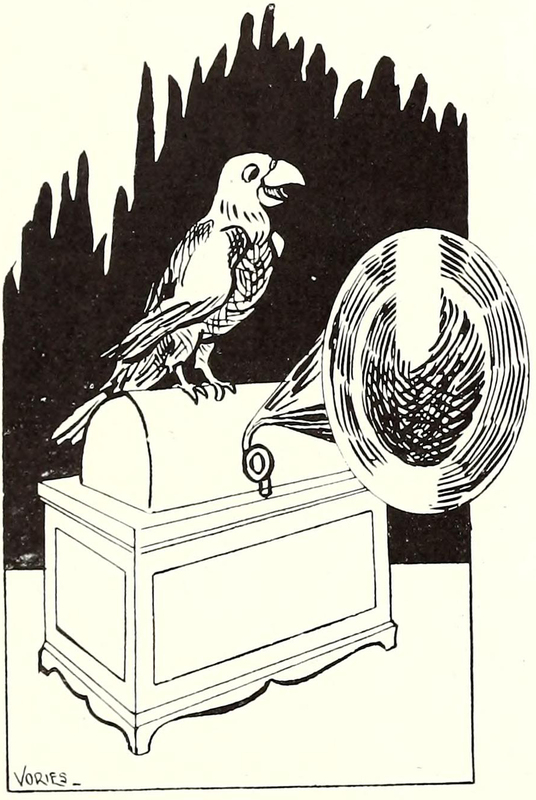 Revealed: the Nipper dog of "His Master's Voice" was actually hearing a parrot's mimicry. 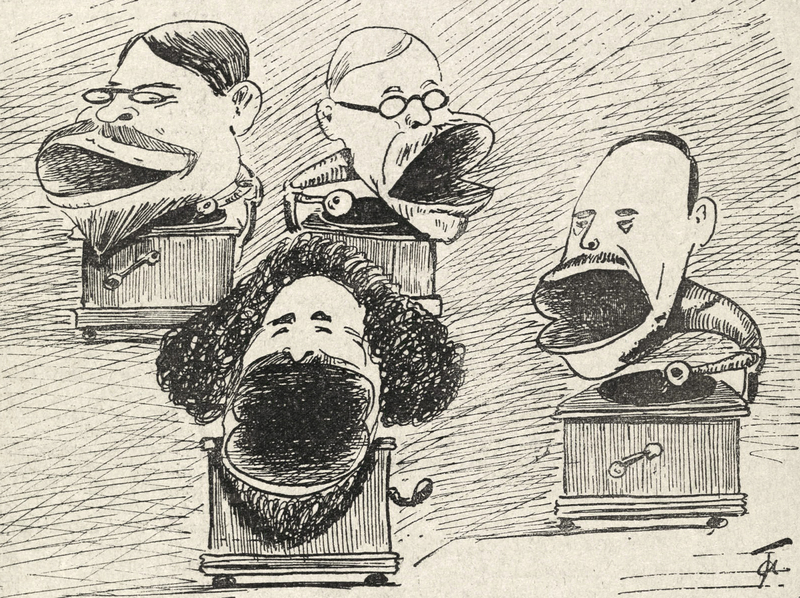 From Colorado College's yearbook of 1903. Here's the day Nipper had enough. "Hullo! 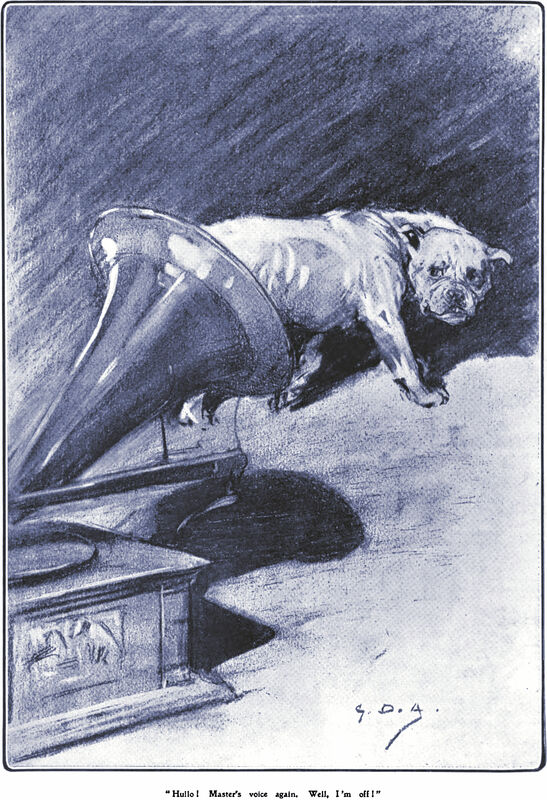 Master's voice again. Well, I'm off!" 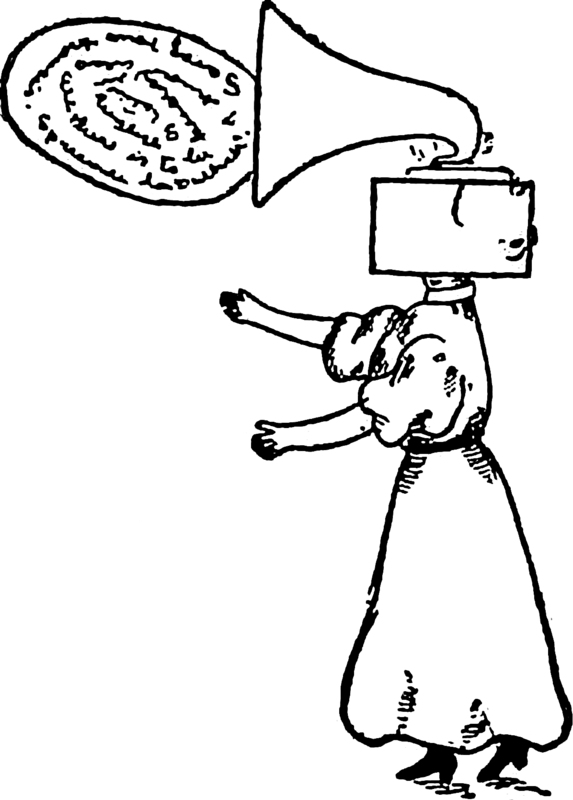 From The Sketch, 1906. 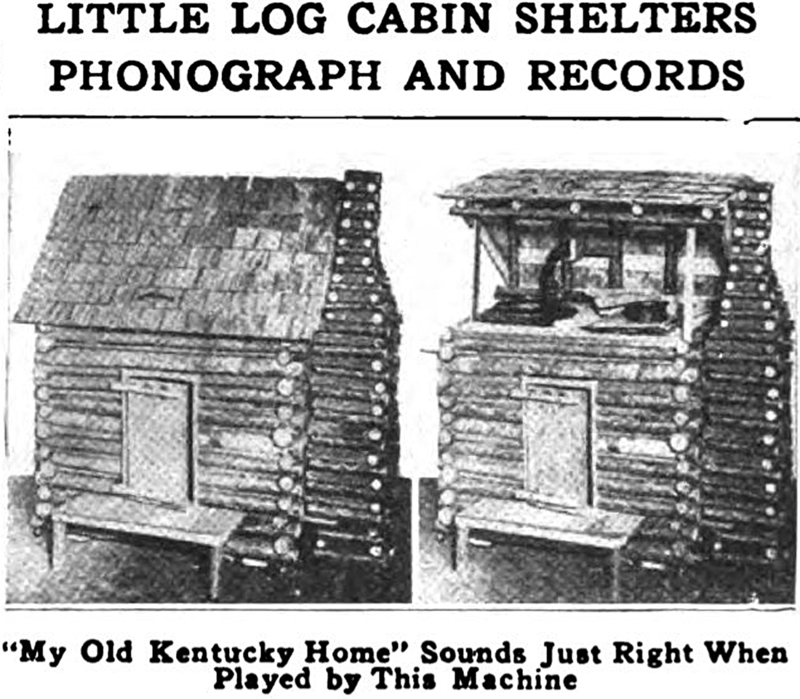 "Little log cabin shelters photograph and records." 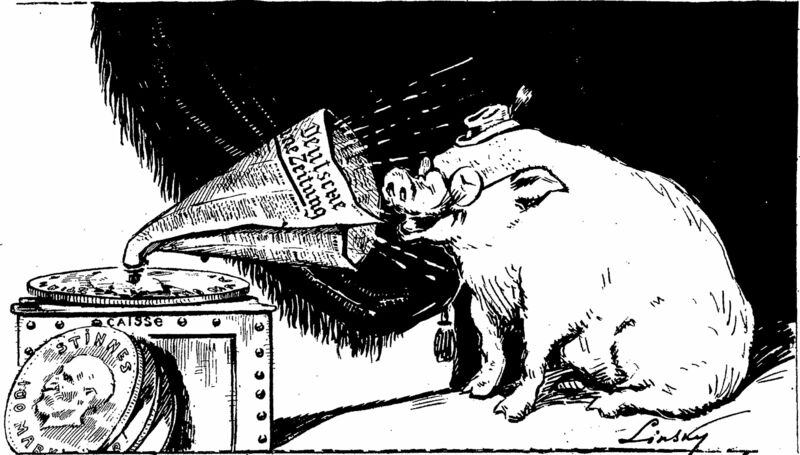 From Popular Mechanics, 1919. 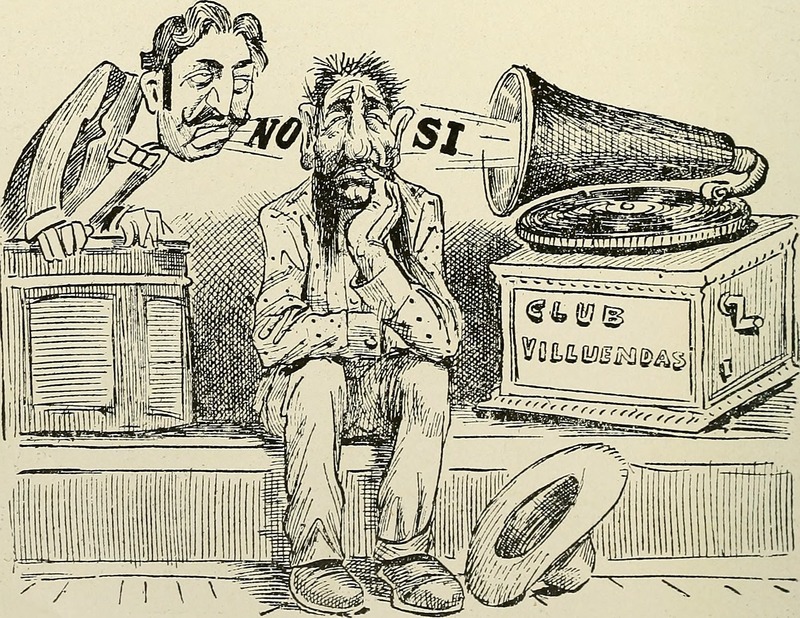 From The Cuba Review, 1911. 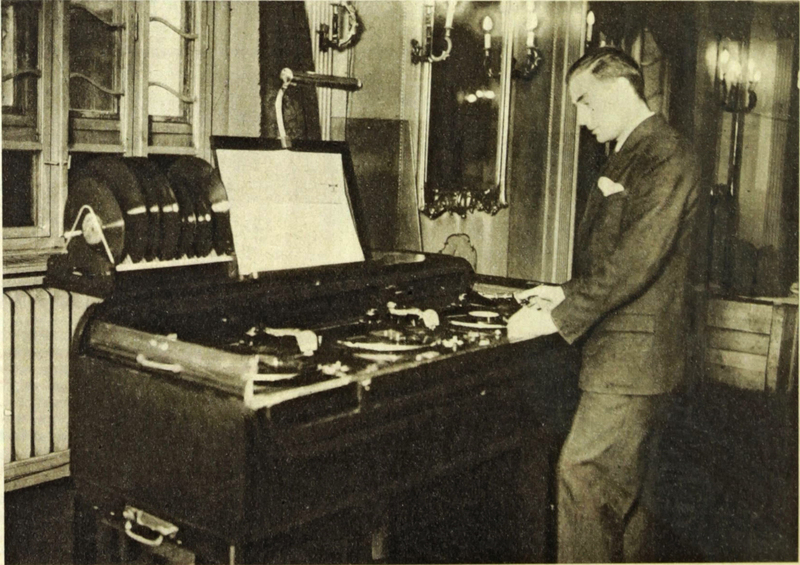 You've heard of oldschool DJing. Here's 1929-style. From Die Bühne. 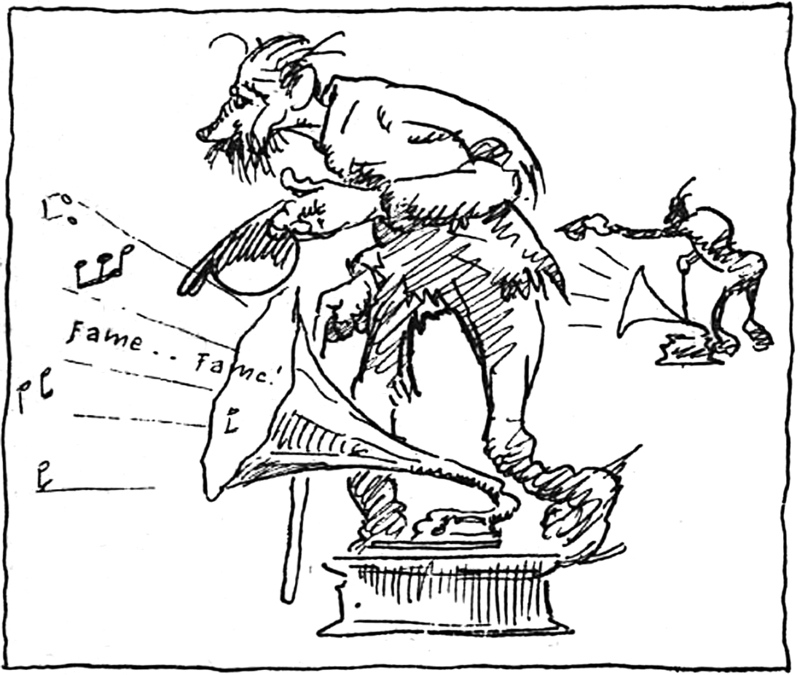 Fifty-five years before the Bowie song, a phonograph plays "Fame." 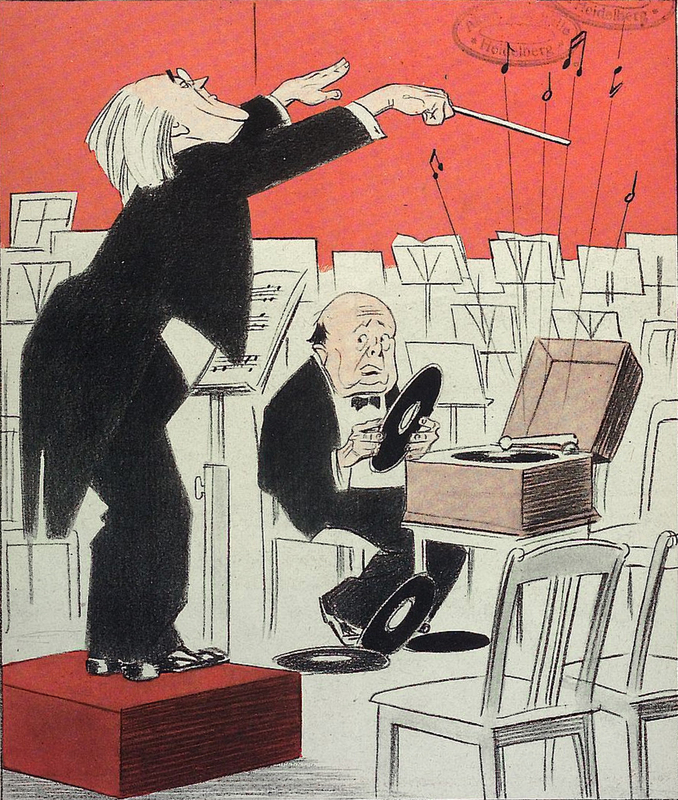 From Die Muskete, 1920. From the Milady in Brown yearbook of Belmont College, 1908. See How to Hoodoo Hack a Yearbook. 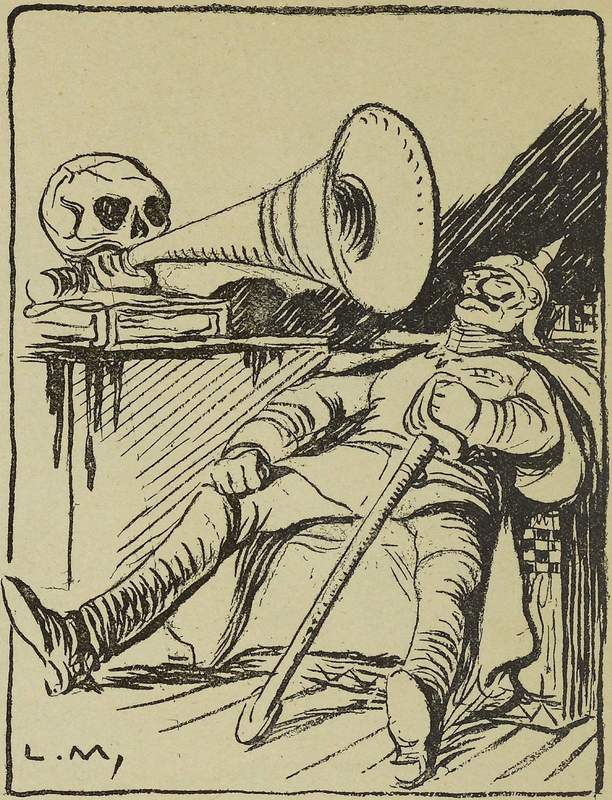 An illustration from an 1899 issue of Punch magazine.